This collection of papers, edited by two theologians (G. Pfleiderer and G. Brahier) and a medical scientist (K. Lindpaintner) grows out of a conference jointly organized by the Faculty of Theology at Basel University, the Ethics Advisory Group of F. Hoffman-La Roche and S. Karger Publishers. The presentations and discussions from the 2008 meeting, titled “GenEthics and Religion: Advancing the Public Dialogue on Human Gene Technology and Bioethics as Reflected in Religious Thought” continue to be relevant as CRISPR-Cas 9 technologies enhance our therapeutic capacities and genomic data gathered around the world is promised to herald insights into the structure, function, and origin of species. The nature of a multi-authored volume means that many different ideas are presented, ethical problems posed, and practical solutions offered. This review cannot possibly cover them all. Consequently, I will summarize in broad strokes the structure of the volume and the chapters therein. In the final section, I will comment on some several ideas, arguments, models, and questions that Muslim thinkers should pay close attention to when engaging in genethics discourses. At the outset, let me emphasize that the volume is a fascinating and essential read for individuals interested in religious bioethics, as well as those deliberating over the moral dimensions of genetic and genomic technologies. After the editors offer a comprehensive introduction describing the need for pluralistic ethical deliberation, including religious perspectives, over the meaning and use of genetic technologies, the volume is divided into four sections. The first section comprises of two papers offering hermeneutic and conceptual reflections on the issues genethics raises. The titles of the papers are sufficiently self-explanatory. Swiss bioethicist, Christoph Rehmann-Sutter, discusses the hermeneutical implications of the vocabulary used to discuss genes, cells, and genetic technologies in his chapter ‘Genes-Cells-Interpretations: What Hermeneutics Can Add to Genetics and to Bioethics’. He notes how textual metaphors are replete in popular and professional descriptions of genes as instruction manuals, blueprints, and codes. This lexicon fuels an imaginary that suggests scientists have mastery and control over the matter we are made of and can construct/reconstruct living organisms. Yet, scientific research disproves the deterministic and linear connotations of this lexicon; genes and genetic expression is much more complex with feedback loops and multisystem interactions on the path from DNA codes to proteins. Moreover, DNA does not set into motion completely predictable processes nor does it fully carry all the development information an organism needs. Rather, there are multiple potentials contained within the DNA and the organism is a self-informing system that undergoes change and development based on a variety of factors. Rehmann-Sutter thus argues for a shift in metaphor: portraying genetics/genomics as systems with multifunctional parts and multiple processing pathways. Since language governs the way in which we analyse ethical challenges, an updated and more accurate vocabulary would impact how we identify, process, analyse and resolve genethics dilemmas. The renowned bioethicist, James Childress, covers contentions over the concept of human dignity in his chapter titled ‘Contentions about Human Dignity: Implications for Biotechnology’. Here, he differentiates between two competing conceptions of human dignity oft-used in bioethics: (i) as the standard of rights and duties and (ii) as a standard of virtue. He then proceeds to illustrate the relevance and shortcomings of these conceptions in analysing the ethics of reproductive cloning and genetic enhancement. Though he believes that human dignity is a poorly-defined and bandied about by multiple sides for rhetorical purposes, he suggests that religious groups can legitimately “articulate their visions about human dignity in public bioethics” (Childress, 2010, p. 37) but must do so with transparency, integrity, and cogency. He closes his chapter by arguing for a public precautionary process towards technologies, such as those involved with human cloning and genetic enhancement, which are perceived to threaten human dignity in one form or another. This process is one that brings together multiple stakeholders, recognizes ethical fallibility and the imperfect state of knowledge about technologies and their consequences, and yields societal judgements and measures that are open to revision. 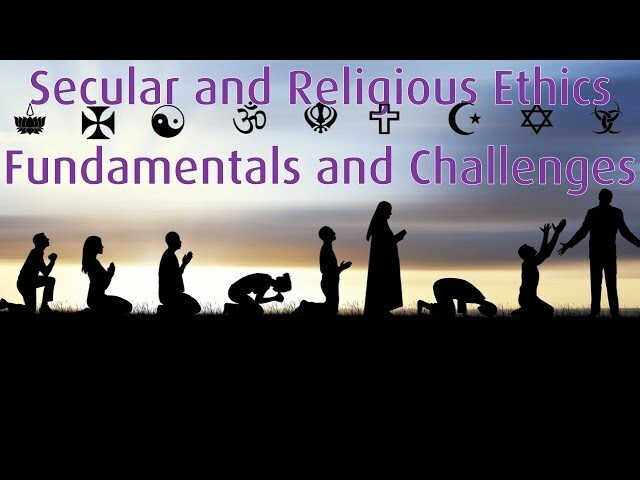 The second section of the book comprises of papers analysing the function and role of religion in genethics debates. Another bioethics authority and committed Orthodox Christian, Tristram Engelhardt, argues against the possibility of a secular, common morality furnishing a universally-acceptable, global bioethics framework. In his view, there is an irreducible plurality of religious perspectives and bioethical viewpoints because of foundational disagreements regarding the nature of morality, the meaning of human existence and the constitution of human flourishing. As such, his paper entitled ‘Global Bioethics, Theology, and Human Genetic Engineering: The Challenge of Refashioning Human Nature in the Face of Moral and Religious Pluralism’, suggests that the impossibility of resolving genethics debates is rooted in the absence of an ultimate metaphysical principle of life in secular bioethics. He proceeds to then build up a theologically-ground ethical approach, grounded in Orthodox Christianity, to genetic engineering. He welcomes genetic engineering as part of medicine to which Orthodox Christianity is positively inclined. This positive view arises from an orientation to revert humankind back to the perfect and blissful state they were in Eden. Thus, diseases and maladies, including genetic malformations, should be remedied and, if genetic engineering holds the cure, it should be performed even if germline consequences ensue. The limits to such intervention revolve around interventions that set aside the distinctions of human beings, as male and female for Orthodox Christians are gender-essentialists; those that make humans unable to reproduce and be fertile for that betrays the commandment to be fruitful and multiply, and those that transform humankind to such an extent our embodiment is not similar to that of Christian views of Christ. Finally, genetic engineering cannot become all-consuming undertaking that distracts from seeking the abode of heaven. The next chapter is authored by Fredrich Wilhelm Graf, a systematic theologian. He offers a scathing critique of religious semantics and actors in academic bioethics. Taking a historical approach, he demonstrates how the creation of language has been used to both discredit and promote genetic engineering. Perhaps in a gesture to Childress’ piece, he also comments on how notions of human dignity were co-opted by religious actors and then strategically recast to weigh in on bioethical debates. Therefore, in his view, the malleability of religious language allows it to transcend original meanings and be applied inappropriately in bioethical debates, and also to be used in power plays by actors seeking moral and political authority. He states that within bioethical deliberation, a religious actor more often than not “invokes certain religious traditions and then claims to be arguing ‘on the basis of this tradition’. But this is not the case by any means. It is merely a constructive reinterpretation of traditions. This process also inevitably involves interests, discursive communication of claims to power and interpretative struggles.” (Graf, 2010, p. 53) Consequently, he contends that religious ideas (and therefore religious actors) are counterproductive to biopolitical debates, and there is little place for them in academic bioethics discourse. Broadening out from Graf’s chapter, philosopher Petra Gehring reveals connections between churches and public bioethical debates. Her chapter, ‘Children, Bodies, Life: Ethics as the Churches' Biopolitics’, convincingly demonstrates how the Church (by this she means various churches, Catholic and Protestant, in Europe) has been given voice in bioethical policy debates through a “home grown” class of theological bioethicists. These ethicists seek to align opinion towards Christian sensibilities through policy advocacy, confessional social work, and public and academic bioethical writing. This “theological lobbyism” has not only made the Church more relevant in societal issues, it has also signalled a subtle shift towards a science-based understanding of life within the Church. Scientific concepts are thus not only instruments for use as classical theological doctrines are garbed in the language of today, rather scientific knowledge, at times, becomes incorporated into the process of understanding what the Church’s positions should be. She reveals the connections between church and biopolitics using examples related to abortion, organ transplantation, and advanced directives. Her chapter convincingly demonstrates that the churches are engaging in biopolitics with a pragmatic approach that uses theological bioethicists purposively and pushes historical theological stances aside when necessary to maintain significance and relevance. All of this is not insidious; she closes by noting that churches may be driven to involve themselves in bioethics because bioethics questions are also of theological importance: What is the significance of beginning of life? How might we improve the quality of one’s living? and How should we meet death? The third section of the book examines efforts at constructing a Christian theological genethics. In ‘‘Biopower' – Ethical and Theological Considerations’ Catholic theologian, Dietmar Meith, furthers discussions on the interplay between theological bioethicists and policy-making. He notes that, in the interaction between multiple stakeholders and disciplinary experts, a balancing of powers and open dialogue is necessary. The chapter’s topical focus is on human cloning and he analyses three broad policy positions, along with their underlying rationale, on the matter: (i) an abstract endorsement under almost unattainable conditions, (ii) a rejection that seeks to defend against radical interventions upon humankind, and (iii) a rejection that is justified by both categorical and relative arguments. It is beyond the scope of this review to detail the principles and values undergirding these views, although it is worth mentioning that he views the first position as a call for a moratorium and the last view is one he is inclined towards. Additionally, the chapter includes precise Christian theological arguments against human cloning that are worthy of close reading. This backdrop is the setting for more provocative analyses where he outlines the instruments of “biopower” wielded by various actors in their taking the aforementioned stances and contributing to political documents. His examples include the wielding of biopower through deploying terminology that is strategic and somewhat vague (like non-reproductive and reproductive cloning) and the obscuring of a true call for a moratoria on cloning by endorsing the matter, provided impossible conditions are met. The chapter is a fascinating one that continues the volume’s in-depth examination of theological bioethicists, political manoeuvring, and the strategic use of language in genethics debates. The fourth and final section of the volume collects perspectives on genethics from Judaism, Islam and Buddhism. Ronald Green, a philosophical bioethicist with a Jewish background, reviews the positive stance Judaism takes towards genetic technologies in the service of medicine. His chapter, ‘The Jewish Perspective on GenEthics’, follows a theological line similar to the one taken by Orthodox Christian bioethicist, Englehardt. He offers that preserving human life is a stringent obligation in Judaism and improving human life is a noble aim, hence, in as far as genetic technologies further these goals, they are permitted. The fact that Jewish law does not accord full moral weight to the fetus, rather it attaches increasing sanctity and inviolability according to advancing gestational age, allows for taking on the risk of miscarriage or negative outcomes during the processes of prenatal genetic diagnoses and intervention. A key theological premise undergirding positive views towards genetic manipulation of the genome of humans and other species is that idea that a residual creative power, and imperfections, remained in the world after the cosmos was created by God. Thus, humans can improve upon creation and share a type of co-creator relationship with God as the march of time progresses. Accordingly, concerns about “playing God” are lessened, though various ethical limits are imposed to prevent abominations in humankind’s creative ventures. In her chapter, ‘Human Genetic Technologies and Islamic Bioethics’, Siti Nurani Mohamed Nor, a Malay Muslim bioethicist, discusses the need for greater research into Islamic perspectives on genetic and genomic technologies. She focuses on analysing the merits of genetic interventions through the lens of Maqāṣid al-Sharīʿah (the overarching objectives of Islamic law). She applies a common maqāṣid framework which acknowledges that the protection of five human interests: life, religion, property, intellect, and lineage, in rank-order is the goal of Islamic ethico-legal deliberation. As such, any bioethics matter is to be judged according to how far it preserves or interferes with these interests. Proceeding in this fashion, she reviews the pronouncements of Islamic juridical bodies on various bioethical issues including human cloning, IVF, gestational surrogacy and the like. In her view, most of these debates revolved around balancing the preservation of lineage with the preservation of life. For example, gestational surrogacy was prohibited by jurists for it would confuse lineage while IVF within the bounds of marriage was allowed for it furthered the preservation of lineage, as the destruction of zygotes was not considered to be a significant risk to the preservation of life because ensoulment does not occur until a later gestational age. This background research allows her to comment on the genethics of stem cell research. She offers that such research should be encouraged because it furthers the preservation of human life (and its quality), and the intention to eliminate diseases through such research justifies the possibility of embryo destruction because it is the lesser of two evils. She bounds the use of reproductive genetic technologies within marriage because the preservation of lineage demands it. The final chapter, ‘Buddhism and Human Genome Research’, is authored by Pinit Ratankul, a leading figure in Buddhist bioethics. He relates how the overarching concern of Buddhism is the cessation of suffering, which, in turn, leads towards a positive attitude towards genetic therapies holding this potential. Yet, in the research domain, Buddhist teachings about compassion and ensoulment at the moment of fertilization fund the responsibilities towards the protection of research subjects from harms in research activities and the prohibition of destroying embryos during the course of research. Thus, primarily somatic cell gene therapy is acceptable to this tradition. Interestingly, the Buddhist view that humans are uncreated and with no fixed identity or essence at birth, but rather a part of a larger continuity of living reality, opens up an ethical space for genetic enhancement. In his words, “the change in genetic individuality is not against nature (for) anything that is against it cannot happen.” (Ratanakul, 2010, p. 144) He cautions scientists proceeding down pathways that may harm society, asking them to inculcate compassion towards humanity in their professional lives. Meditative and reflective practices are offered as one way to expand one’s awareness of the societal implications of one’s work and, thereby, refocus upon bringing benefit to humanity. On the whole, the volume is an essential read for Islamic bioethicists. The authors cover a lot of scientific and ethical ground and provide critical insight into how religious voices and theological thinking can, and has, influenced genethics debates. Though the volume contains much material that merits consideration, I would like highlight a few particularly significant ideas, models of dialogue, and analytic questions. I will divide these comments into those relating to sociology and those probing theology. As Islamic scholars, Muslim scientists, and other stakeholders wade into genethics currents, they would be better equipped to navigate the waters with skill if they addresse these concerns and questions beforehand. The first point to note is that, even within a volume dedicated to Genethics and Religion, there is but one article presenting Islamic views. The dearth of Islamic perspectives reflects the general state of academic bioethics; academic bioethics discourses are not particularly open to religiously-grounded arguments,(Murphy, 2012a, 2012b; Schuklenk, 2018) and, where religion is admitted, the most dominant voices are frequently those of Christian scholars. There are many reasons for this situation including (i) the marginalization of normative Islam within bioethics academies and institutes, (ii) the physical distance between centres of biomedical and technological research and those dedicated to the Islamic tradition leading to entrenched intellectual silos, (iii) the lack of a sustained engagement with, and recognition of, bioethics as a body of knowledge as well as a practice by Muslim scholars, and (iv) the general tendency of Islamic scholars and Muslim clinicians to bypass theory and theology and instead reduce Islamic bioethics in fatwa research and production. Accordingly, there is lot of bridge-building and learning needed for Islamic voices to meaningfully contribute to academic bioethics discourses. Projects such as the one that commissioned this review are a good beginning. ("Genomics and Islamic Ethics: QNRF IGGR-CILE,") But, more needs to be done to sustain projects that bring together religious scholars, biomedical scientists, social scientists and bioethics researchers to develop a shared vocabulary and a structured process to collectively analyse pressing bioethical questions. It would be wise to take cue from Hansjakob Miller. He suggests that scientists and theologians must visit each other’s fields of knowledge and come to understand each other’s ways of knowing. Such scholars must also engage each other with an attitude of epistemic humility for the solutions to knotty ethical problems lie at the intersections of their fields. As I have demonstrated elsewhere, a multidisciplinary approach to sustained learning that incorporates social scientists and political scientists alongside jurists and clinicians is needed to render holistic Islamic bioethical perspectives. (Aasim I. Padela, 2015; A. I. Padela, Shanawani, & Arozullah, 2011) Although such fora may be able to better equip Muslim thinkers for engaging with academic bioethics, their participation is greatly dependent on whether the field admits religiously-grounded arguments. Graf’s chapter reflects the opinion of many bioethicists that such reasoning exercises do not belong in academic bioethics journals nor should be used in biopolicy debates. Though sympathetic, even Miller questions whether theological thinkers can help solve issues at the practical level. As scholars seek to develop the field of Islamic bioethics, they need to think carefully about whether the field stands alongside academic bioethics; in other words, it offers a conceptual and practical alternative to global bioethics discourses, or whether it seeks to become part of the discourse. If it is the former, perhaps theological analyses remain relevant to the field, but if it is the latter, perhaps scholars need to think of alternatives to scriptural reasoning and theological analyses to derive (or at least communicate through) Islamic bioethical perspectives. Although Islamic jurists and theologians have always been engaged with bioethical questions due to fielding questions about the permissibility of therapeutics from the Muslim polity, their involvement in biopolitics and academic bioethics is a more recent phenomenon. Arguably, the interaction between health policy actors and Islamic jurists took on a new form through transnational juridical councils convened under auspices of the Muslim World League and the Organization of Islamic Cooperation in the 1980s and 90s, and has continued into the present era with their being multiple regional, state-level, and local councils that bring together medical scientists and jurists to render bioethical rulings. Several chapters in this volume engage with a sort of political sociology analysing the interaction between churches (through trained theological bioethicists) and policy-makers. The chapters by Graf, Gehring and Miller, provide models for how the interaction between Islamic jurists, political actors, and the burgeoning Islamic bioethics discourse should be examined. Is there something akin to a class of church-trained theological bioethicists within the Muslim world or in diasporic communities who see opportunities for relevance, influence, financial stability, and power by taking on the mantle of Islamic bioethicists? It is certainly true that seminarians are increasingly turning towards this “new” field of Islamic bioethics; why are they doing so? Perhaps more importantly is: are they equipped with the requisite knowledge, skill-sets, and temperament to do so? When discussing Christian theological bioethicists, Miller had observed that they would often change their position and go against traditional theological views. He surmised this was for ulterior motives rather than a change forced by better understanding of the science and technology at hand. Graf observed similar shifts and felt the cause was that religious values could be marshalled both for, and against, genetic interventions and thus religion did not belong in the debate, for it was an instrument for power plays. Gehring also decried “theological lobbyism” and was concerned about the co-option of religious arguments for political purposes. While I do not share the same scepticism of Islamic seminarians and jurists that these authors have of Church-trained theologians involved in bioethics discourse, studies of how Islamic bioethical rulings are produced, what sort of language is used and why, and whether (and how) links with political actors influence the rendering of Islamic bioethics rulings would illuminate the social politics of Islamic bioethics. Additionally, taking cure from Mieth, what are the instruments of biopower in such discussions and how are they wielded? Such work is particularly important for projects like Indigenizing Islamic Bioethics in the Gulf Region because there are clear state interests in genomics research, and state agencies have commissioned projects to deliver Islamic genethics guidance related to these interests. Rehmann-Sutter raises several important questions meriting reflection from Islamic sources. The overdone text metaphor for genetics implicates an author-reader relationship and thus betrays queries about the genetic text’s author and the process by which it is interpreted. 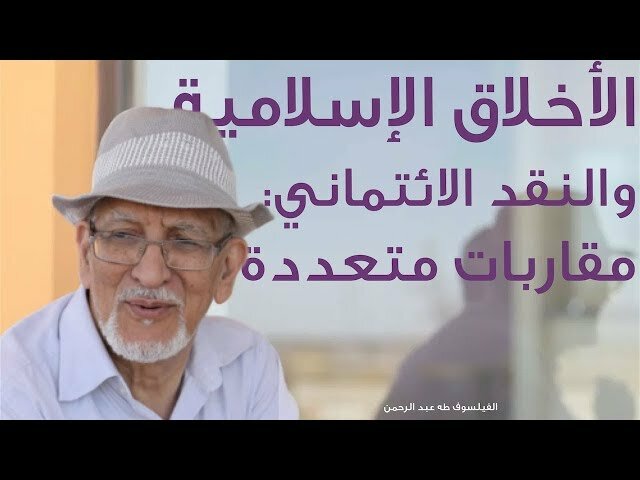 Despite his argument to move beyond the text metaphor and towards a systems’ one, I wonder whether Islamic scholars’ imaginations have viewed, or can view, genetics through the first lens; whether they ascribe author status to God and reader status to scientists. Admittedly, more central to Islamic theology is the Creator-creation dyad and we certainly see this relationship invoked when genetic manipulation and germline interventions are repudiated by Islamic scholars as playing God or changing the creation of God. But, what if an author-reader analogy was drawn, would such concerns fall away? Certainly, some have suggested that nature stands alongside revelation as indicants to not only God’s existence but to His sapiential plan for humanity. (Bakar, 2008; Ramadan, 2008) Thus, just like the laws of nature are there for us to understand and utilize, are genetic texts placed by God for us to read, understand, and take advantage of? 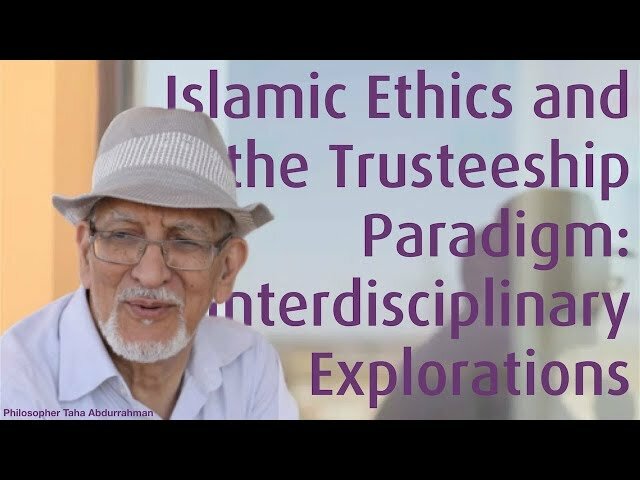 Can a sort of natural theology get admitted into Islamic genethics discussions? Ronald Green describes how Judaism sees humankind in a sort of co-creator relationship with God thus rendering genetic alterations not morally reprehensive, Englehardt sees a possibility for human genetic enhancement to be viewed as morally necessary for humankind to return to the same noble state it had in Eden, while Rantankul argues for such use out of the Buddhist mandate to reduce suffering. Counter-balancing this openness to genetic alteration are appeals by theological ethicists to human dignity, the sacredness of the human genome, and the hubris of playing God should humankind significantly alter the human genome whether it be for therapeutic or enhancement purposes. One wonders what Islamic theology and ethics would take about such matters. One key issue to resolve is what is the essence of the human being from an Islamic theological vantage-point? There are some Muslim ethicists who appear to biologize humanity and sacralise human DNA in genethics discussions. Like Ted Peters, I worry about this reductive mode of thinking; we are certainly not our DNA nor is the major part of our being tied to the body. Classical discussions about human nature and the soul within kalām may provide insights that are relevant for Muslim discussions over manipulation of the human genome, the nature of chimeras, and what constitutes human enhancement. Before closing this review, which is primarily directed at Islamic bioethics stakeholders, the sole Muslim contribution to the volume merits a few remarks. Siti Nor admirably grapples with the ethics of stem cell research using a maqāṣidī approach. Certainly, this type of bioethical analysis is becoming increasingly common and is taught in several Muslim universities in the Muslim world. 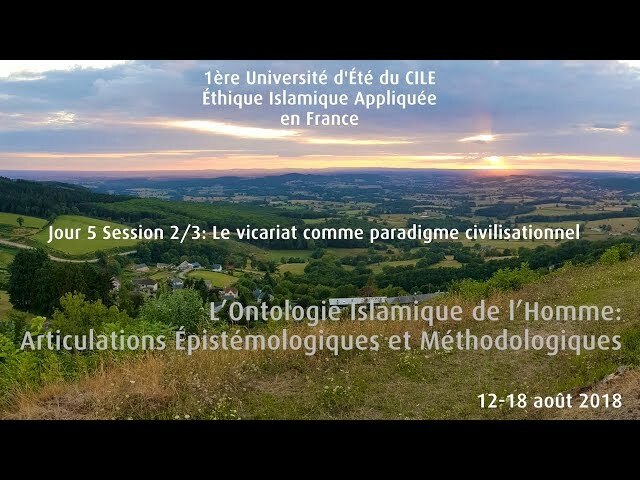 While the maqāṣid provide key insights into the workings of Islamic law, and reveal a sort of axiology within an Islamic moral universe, generating ethico-legal norms based on the maqāṣid has been debated in both classical and modern times. 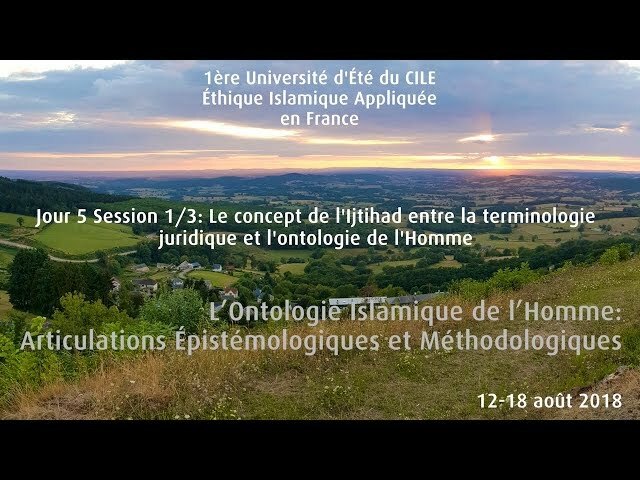 Jurists have argued that maqāṣid should simply be used as complementary to fiqh tools and reasoning methods, that using them as principles is inappropriate because a methodology for specification or balancing them against one another does not exist. Particularly problematic is the fact that the Imam al-Shāṭibī, the 14th century scholar of Malikī law often deemed the father of the maqāṣid and whose theory Nor utilizes, does not specify a consistent hierarchical order to the five human interests contained with the maqāṣid. It is clear that the maqṣid of preservation of religion is most important to al-Shāṭibī and after that preservation of life comes next. (Attia, 2007) Yet the order of priority among the preservation of progeny (naṣl), material wealth (māl), and intellect (‘aql) is debated as he is unclear on this matter in his writings. (Attia, 2007; Raysūnī & International Institute of Islamic Thought., 2005) Hence, a principle-type approach to resolve bioethics matters through this classical model for the maqāṣid may not be possible. Another risk to this sort of approach is that is it unclear how to conceptualize the human interests. Imam al-Shāṭibī inducted up the maqāṣid through scriptural analysis. To him, the interests were defined with recourse to scripture. When applied in the realm of Islamic bioethics, some writers appear to redefine the interests in relation to biomedicine. (Kasule, 2007; Saifuddeen, Rahman, Isa, & Baharuddin, 2014) For example, the preservation of life may be viewed as an ethical mandate to restore physical and psychological health. 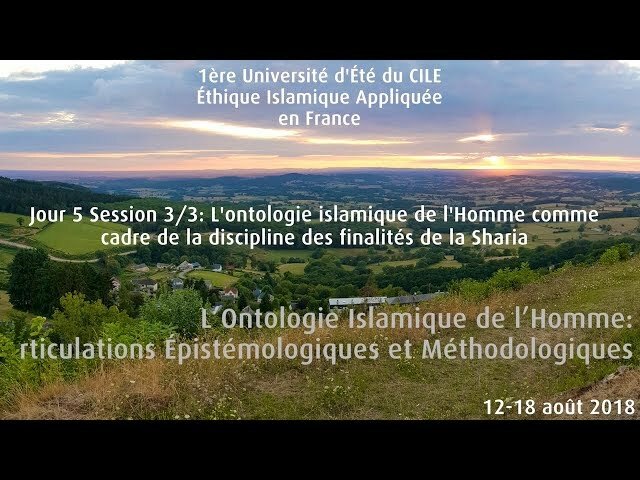 These sorts of conceptual extensions or theorizations need to delineate in order to better assess the utility, rigor, and religious authenticity, of Islamic bioethics deliberation based on maqāṣidī approaches. Attia, G. E. (2007). Towards Realization of the Higher Intents of Islamic Law. Herndon, VA: The International Institute of Islamic Thought. Bakar, O. (2008). Tawhid and science Islamic perspectives on religion and science: Arah Pendidikan Sdn Bhd. Childress, J. F. (2010). Controversies about Human Dignity: Implications for Biotechnology. In GenEthics and Religion (pp. 28-39): Karger Publishers. Graf, F. W. (2010). Eschewing Images of Man: Against Anthropological Reductionism in Bioethics. In GenEthics and Religion (pp. 52-59): Karger Publishers. Müller, H. (2010). On the Ethics Debate between Theologians, Scientists and Doctors: Experiences, Observations and Commentaries of a Medical Geneticist. In GenEthics and Religion (pp. 74-81): Karger Publishers. Murphy, T. F. (2012b). The More Irreligion in Bioethics the Better-Reply to Open Peer Commentaries on [in defense of irreligious bioethics]. The American Journal of Bioethics, 12(12). Padela, A. I., Shanawani, H., & Arozullah, A. (2011). Medical experts & Islamic scholars deliberating over brain death: gaps in the applied Islamic bioethics discourse. Muslim World, 101(1), 53-72. Peters, T. (2010). Is the Human Genome Sacred? In GenEthics and Religion (pp. 108-117): Karger Publishers. Ramadan, T. (2008). Radical reform : Islamic ethics and liberation. Oxford ; New York: Oxford University Press. Ratanakul, P. (2010). Buddhism and human genome research. In GenEthics and Religion (pp. 138-150): Karger Publishers. Raysūnī, A. m., & International Institute of Islamic Thought. (2005). Imam al-Shatibi's theory of the higher objectives and intents of Islamic law. London ; Washington: International Institute of Islamic Thought. Saifuddeen, S. M., Rahman, N. N. A., Isa, N. M., & Baharuddin, A. (2014). Maqasid al-Shariah as a complementary framework to conventional bioethics. Science and engineering ethics, 20(2), 317-327. Schockenhoff, E. (2010). First Sheep, Then Human Beings? Theological and Ethical Reflections on the Use of Gene Technology. In GenEthics and Religion (pp. 101-107): Karger Publishers. Schuklenk, U. (2018). On the role of religion in articles this journal seeks to publish. "This research was made possible by the NPRP grant “Indigenizing Genomics in the Gulf Region (IGGR): The Missing Islamic Bioethical Discourse", no. NPRP8-1620-6-057 from the Qatar National Research Fund (a member of Qatar Foundation). The statements made herein are solely the responsibility of the author." After the Genome: A Language for Our Biotechnological Future. How to be Good: The Possibility of Moral Enhancement By: John Harris. Oxford: Oxford University Press, 2016, 195 pp.